Dennis Dean, President of Four Star Construction Co., an affiliate of MAS Companies, has over 30 years of experience in the construction and development of commercial real estate. His experience includes supervising the construction of over 3 million square feet of real estate with cost in excess of over $1 billion. Through detailed and hands-on supervision of the construction process, he upholds MAS Companies’ reputation for completing projects on time and on budget. Mr. Dean has a diverse background in all aspects of construction and design. Mr. Dean is a licensed CPM, a licensed contractor and a registered engineer. 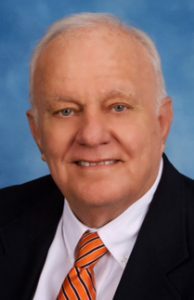 His civic and professional activities have included City of Belleair (Fla.) Code Enforcement Board, YWCA Board of Directors, member of the Clearwater, Florida Downtown Development Board, and Board of Direction of Belleair Country Club. Dennis and his wife have three grown children and reside in Clearwater, Florida.